The Spec Ops indoor battlefield is a totally interactive space. Take cover in a building to escape enemy fire, ambush the adversary from the shell of an old car, or assault the opponent through an urban wasteland. Have you ever played paintball under the cover of darkness? It's a whole new experience. We can simulate night and day missions. The changing layout of the field and new scenarios for battles means you’ll need new strategies every time, and you’ll never get bored. Play rain, hail, or shine. Our field is only 5 mins from brisbane CBD, and we are open late so you can pop in for a game of paintball after work. In the Spec Ops briefing room, Francis and the other ADF veterans that make up the team will take you through your mission brief before each game. 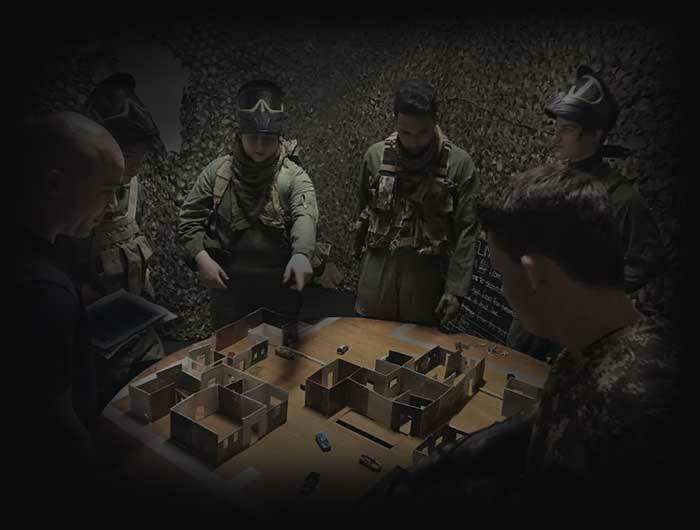 Using a scale mud model of the actual battlefield, you will be equipped with a strategy and tactics taken straight out of the Australian Special Forces playbook.